Fans of OLIVIA will love this carry-along Ready-to-Read boxed set with six favorites! 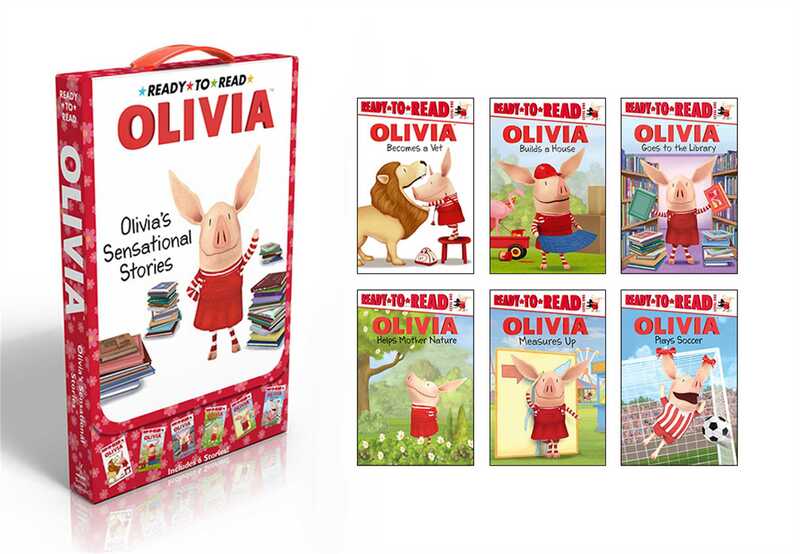 This practical and portable Ready-to-Read boxed set of six OLIVIA books based on the popular television series includes OLIVIA Helps Mother Nature, OLIVIA Goes to the Library, OLIVIA Plays Soccer, OLIVIA Measures Up, OLIVIA Builds a House, and OLIVIA Becomes a Vet. Parents and kids alike will delight in bringing their favorite OLIVA stories everywhere!